I like the taste but it's very grainy. I know it's because of the ingredients but it's hard to get used to. I'm going to keep trying though. The vanilla is the BEST vanilla protein I have ever had hands down! I am a protein snob, and if it doesn’t taste good I will not touch it again. Well this is not the case, I LOVE it! 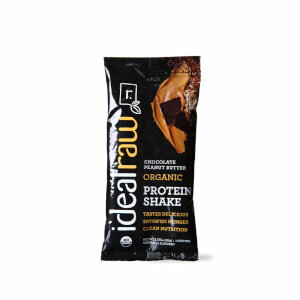 I love this organic protein drink. It is delicious with Almond milk. It helps me recover more quickly from my morning workout! Love this product! This protein is delicious and I LOVE the ingredients!! Win, win!! 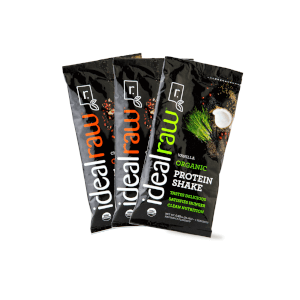 Really surprised and pleased with ideal raw protein packs. I took advantage of the special,they had on Facebook and I’m so glad I did. The choc peanut was so good also. Have recommended to friends as well in my Facebook group. I’ll be a regular subscriber once the other brand I have is used up. I like that it’s vegan, gf and sf. This mixes so smoothly and tastes great. I love the flavor and you can add anything to it!